Family, friends and locals gathered at Sahalee Park on July 4 to honor Beamer for 20th memorial run. The message finds its way to runners and walkers each Fourth of July morning in Madras: "The things you do for yourself die with you; the things you do for others will go on long after you're gone." Dr. 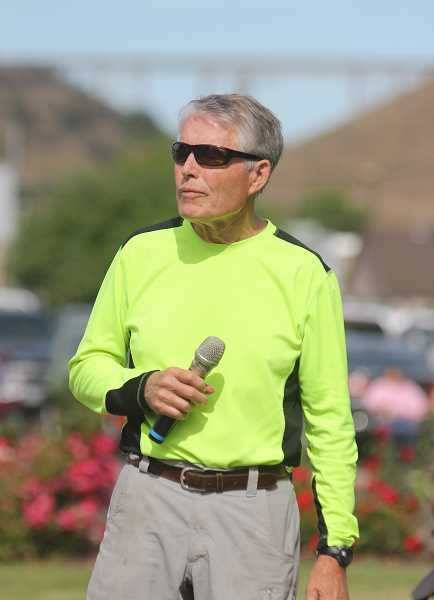 Bud Beamer delivers a variation of those words to begin the Todd Beamer Memorial Run each year on Grizzly Road as people gather around him. Twenty years ago, the longtime running event struck a more meaningful chord in the Madras community after one of their own died tragically. Todd Beamer, Bud Beamer's son, had driven home in June 1997 from Rockaway Beach, where he was a teacher at Neah-Kah-Nie High School, to attend his sister's graduation from Madras High. On June 7, the morning of commencement, Todd left the family's home with their five dogs to go on a run along a North Unit canal. But Todd never appeared at graduation, and when the family returned to the house, he was nowhere to be found. A search ensued that evening after Bud Beamer reported his son missing. Four of the dogs were found dead hours later in a siphon tube flowing into Willow Creek Canyon, and the fifth, a German shepherd, by Todd's truck parked near the canal. On June 9, Todd's body was discovered in the same siphon tube. "I thought, 'We're never going to be the same again,'" Bud Beamer recalls now. From the tragedy, however, a community run suddenly took on a new meaning. 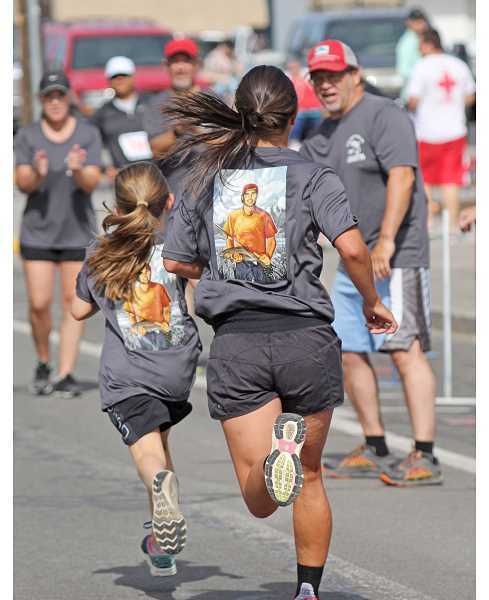 Less than a month after Todd's death, the Beamer family led the way in organizing the first ever Todd Beamer Memorial Run in Madras, with all proceeds going to a scholarship fund in Todd's name. While the numbness was still fresh less than a month after Todd's death, renaming the run to honor him made sense. Todd was a standout athlete at Madras High, as he quarterbacked the football team to a second round appearance in the 1986 state playoffs, before going on to play at Eastern Oregon University for four years. He also frequently returned home for the annual Fourth of July run. Losing Todd also resonated with people in the community. With his opening remarks each year, Bud Beamer reminds people to cherish their existing relationships, and work on the ones that are fractured. "A lot of people didn't know him and didn't know us," he said. "But it does register with them about losses, whether it's their loss or our loss. Our community stands up for their families who suffer. This has been an incredible community for us." 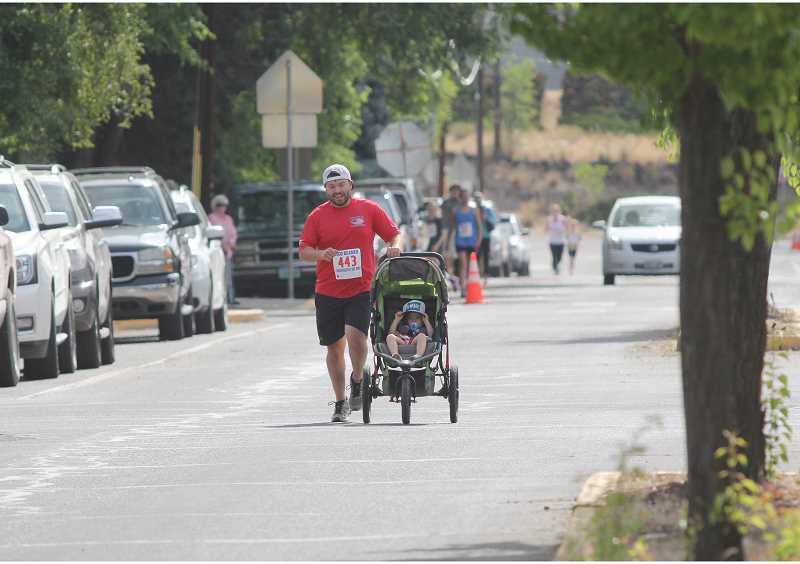 The latest run on Tuesday marked the 20th anniversary of the event, which includes a 10K, 5K, six-mile walk and two-mile fun run, all of which end at Sahalee Park. Jasper Gerhardt won the overall 10K, Emma Knepp was first in the 5K, Sara Decker took top honors in the six-mile walk and Jarren DeWhitt topped the two-mile fun run. Participants sported commemorative 20th anniversary T-shirts with a poster made by Paul Lanquist of Todd holding his fishing rod in one hand and a freshly-caught fish in the other. The image was originally created for a book that Bud Beamer authored, but when Bud's friend and neighbor Kelly Simmelink saw it, he suggested it go on the T-shirts. Bud Beamer thought it would be over the top, but Simmelink told him, "You have no say in this." The 20th anniversary doesn't necessarily have an added meaning to Bud Beamer, other than the reality that 20 years have passed since he lost his eldest of five children. "There's a certain amount of disbelief that 20 years have gone by — the disbelief is that it's still fairly intense," Bud Beamer said. "It still seems like it could have been yesterday. The smells; the nesting birds along the canal. You sense it coming every June — the way nature changes and how you were emotionally at that time. Every June it comes back … Those are things that are forever, and the race intensifies it." Although the race is a constant reminder of the Beamers' loss, it was also a necessary step in the healing process less than a month after Todd died. There was time dedicated to mourn Todd, such as when hundreds of people packed the Madras High gymnasium for his funeral. But there was also a time to remember him, and the kindness, courage and faith that he exemplified. Bud Beamer recalls a time when Todd was a teacher at Neah-Kah-Nie, and he appealed to reinstate a student who was kicked out of school for behavioral issues. Todd took care of the kid who was fatherless, and whose mother was an alcoholic, by home-schooling him to finish high school, while also cooking for him and helping him do his laundry. Todd ultimately lost the appeal. But, when the school superintendent and chairman came to Madras for his funeral, they praised Todd for his efforts. "He was kind," Bud Beamer said. "He had the courage to stand up for things he believed in." "Your words touched my heart as you announced my name," she wrote. "You've shown me how much character means to this community and you've delivered me a great deal of confidence." This time of year, family and friends begin to reminisce about Todd. Bud Beamer and his wife, Beth Ann, hosted a reunion at their Madras ranch the Saturday prior to the race for Todd's Madras graduating class of 1987. And, as is customary each Fourth of July, all of Todd's four siblings — Annie, Jennie, Jordan and Abby — as well as their spouses and children, come home to run the race and remember him. As they, and others hung around after runs for the awards ceremony, Bud Beamer thanked everyone for coming and continuing to support the now two decade-long event. Bud Beamer said he doesn't know how long the run will continue, but if Tuesday was any indication, people show no sign of stopping any time soon.